BBB: What was it that inspired you to enter the unpredictable world of putting on parties, and why do you think ‘Metalheadz’ became such an iconic clubbing brand? 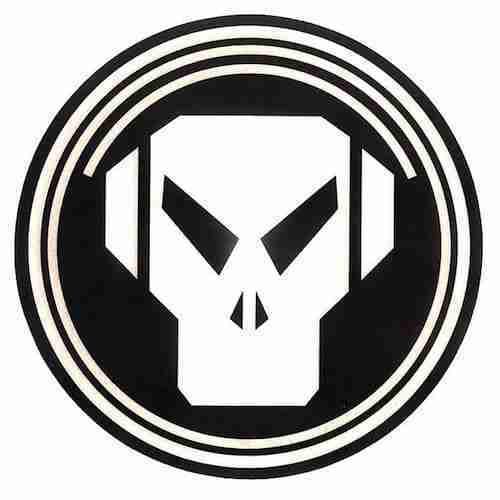 I think mostly off the back of the pure history of the Metalheadz label and it’s early and ongoing success has kind of made it really stand for a lot in dance music culture. I’d say using and exploiting all the extra tools you have that could be beneficial to the events promotion / reach and success, it’s a hard push to attract people to your night these days. It all used to be word of mouth, now it’s much more a case of creative promo strategies being such a big factor in the lead up to ticket sales and the doors actually opening. I can’t help being ‘old school’ and I wish at times the ‘sheep’ that follow trends / what other people like or are likely to like really need to search instead of getting so used to a majority of todays music being manafactures in a certain way or pushed by some clicky outlet that also can’t make it’s own mind up as to whats actually good or not in their own minds. I find some marketing activity that I see kind of soul-less, I can’t help but say that. Some of the ways in which music is marketed is all becoming too much of a business model which I’ve seen tried and tested so much in my working life and it’s something I never wanted to see transition into music itself however it has and I think we’re in a place where we’ve just got to embrace elements of it and move with the times. I’d like to see unbiased press and features that only work due to relationships / tie ins / mutual benefit for both parties and start seeing features of stuff I’ve barely heard of that people are actually looking for and seeking out more rather than being fed on a mass scale. Looking at the recent DJ Mag top 100 DJ results kind of left me inspired to write what I’ve just written you could say. It’s definitely all a big change to the days of old but at the core of it all theres some really great music out there across all genres and that alone is what keeps me going. Haha that was my time (just starting out) as a bleary eyed and excited 13 year old teenager, not being old enough to even go clubbing at that point but that didn’t stop me shamelessly raving hard in my bedroom with my mates (I even had a strobe light in my bedroom), I then moved on to buying cheap belt drive turntables, and now here I am doing what I do. I owe most of the fun I’ve had in life to this music.